Westfield Heating and Air Conditioning has been in business in Ohio since 1972. We are locally owned and operated and serve many areas in northeast and central Ohio. Our HVAC technicians are trained to install, service, and repair a variety of major brand furnaces, central air conditioning units, heat pumps, and boilers. We pride ourselves on being experts in installation and service of Amana, Dunkirk, and WEIL-MCLAIN brand equipment. Please call today for your free furnace or ac installation estimate, service, or repair in your home or small business! Get 10 Years Parts/Labor & 10 Years on Service Calls with Your Install. *Only available on certain models. Call for details. Reduce Home Heating Costs with a NEW Hybrid Fuel Heating & Cooling System. Call For Details. Our New High Efficiency Furnaces and Air Conditioners Nearly Pay for Themselves in Energy Savings! Call One of the Largest AMANA Dealers in OHIO! 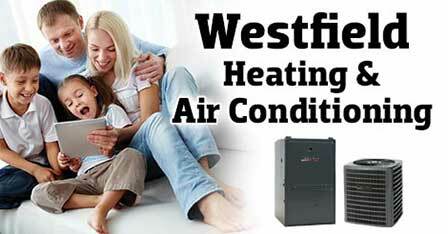 Call Westfield Heating and Air Conditioning in Lakewood, Ohio at 888-689-8100 for furnace installation, furnace repair, air conditioning installation, air conditioning repair, central air conditioner installation, central air conditioning repair, oil furnace installation, oil furnace repair, boiler installation, boiler repair and duct cleaning. Watch for our coupons for furnace and air conditioning installation, maintenance and repair in MaxValues magazine mailed out regularly.